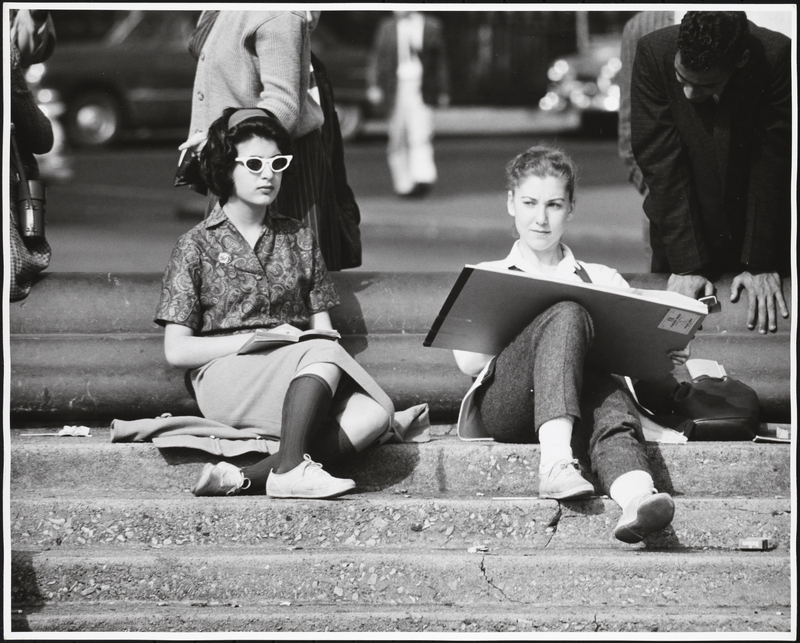 In the 1950s and 1960s, Sunday afternoons were spirited times in Washington Square Park. For several hours folk singers, accompanied by enthusiasts, performed in the public space. In a convivial atmosphere, they played their guitars, banjos, and mandolins and sang tunes like “Michael Row the Boat Ashore,” “Blue Tail Fly,” and “Hey Lolly, Lolly Lo.” They were mostly white, middle-class young adults, liberal in their politics. Professionals and amateurs alike congregated and exchanged ideas in the square, creating a synergy that honed the skills of many. In his autobiography Theo (1994), folk singer Theodore Bikel marveled, “Where else could young – or not so young – singers test their mettle in a public place?” Washington Square, in fact, was the city’s liveliest folk performance space, a subject explored in the Museum of the City of New York’s upcoming Folk City exhibition, opening June 17, 2015. During this period, folk music culture, nurtured in lofts, cafés, hootenannies, private parties, political rallies, and concert halls, created feelings of communalism, belonging, and solidarity among participants. The distinction between performers and audience members became blurry, especially when everyone sang in unison. In Cold War New York it reflected an egalitarian ethos, often tinged by Leftist politics. This Frederick Kelly photograph from 1962, in the City Museum’s collection, illustrates the collective spirit. 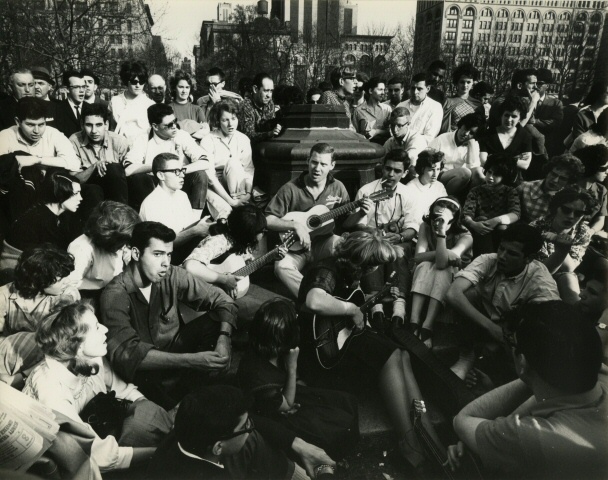 At the end of the Eisenhower era, as Greenwich Village became the epicenter of the nationwide folk music revival, Washington Square became the focal point of the budding counterculture. Bearded musicians in berets played in the park, giving it a kaleidoscopic texture. An array of photographs by Nat Norman, in the City Museum’s collection, captures the vitality of the scene. But not everyone appreciated the gatherings. Dismayed by the crowds and the influx of “freaks,” New York City Parks Commissioner Newbold Morris officially banned folk singing in Washington Square in 1961. Morris received support from lower Fifth Avenue residents, longtime South Villagers, and some New York University officials. But a “Right to Sing” movement, organized by Reverend Howard Moody of Judson Memorial Church and Folklore Center proprietor Izzy Young, formed in response and succeeded in pressuring Mayor Robert Wagner to repeal the measure. Folk City, the exhibition’s companion volume, portrays the controversy as a cultural clash. Washington Square Park was decidedly informal and casual, as these photographs reflect. It was crowded but did not teem with people. There were no opportunities for commercial success for folk singers, just kindred spirits enjoying the musical and social scene. Folk singer Happy Traum remembered his excitement taking the subway from the Bronx to Greenwich Village as a teenager in the 1950s to play his guitar in Washington Square. He saw familiar faces every Sunday. The enthusiasm was palpable. Traum was learning to play the guitar and getting good at it. 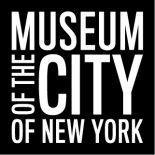 Stephen Petrus is the curator of Folk City at the Museum of the City of New York and co-author of the exhibition's accompanying book, along with historian Ronald D. Cohen. Reblogged this on My Way Of Wasting Time. The “LYL” was indeed a Communist Party group but it was the “Labor Youth League” not the “Loyal Youth League.” Jerry Silverman was quite wonderful and is, I’m told, still around. This entry was posted on May 19, 2015 by Stephen Petrus in Exhibitions, Photography Collection and tagged 1950s, 1960s, folk music, folk singers, Greenwich Village, Washington Square Park.